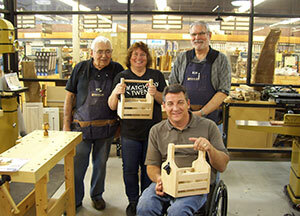 Unleash your creativity with DIY woodworking classes! Grab a friend, a date or come solo. 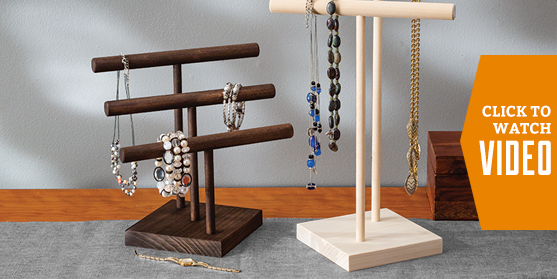 We'll teach you the skills, and you'll leave with a finished project you can proudly show off to friends and family. 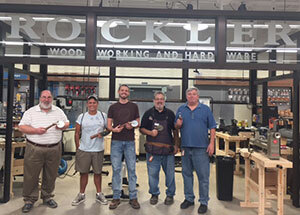 Each make and take woodworking classes is geared toward a specific project and projects rotate out frequently. Sign up for one or all! Make and take classes are limited to three to six participants per class. This enables instructors to offer lots of one-on-one time. 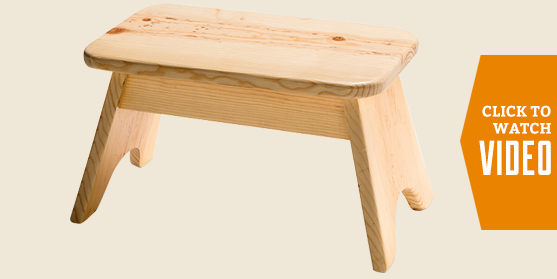 No previous woodworking experience is necessary. 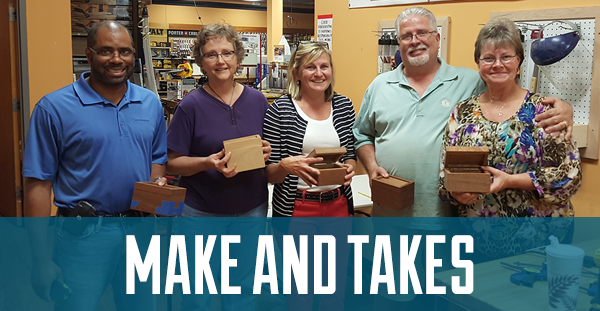 How To Sign Up for Make and Takes: Choose your state below to sign up for a class in your area. Tickets will be available on individual store pages. Make a Wooden Bow Tie for Father’s Day! In this class, you’ll create your very own wooden bow tie. 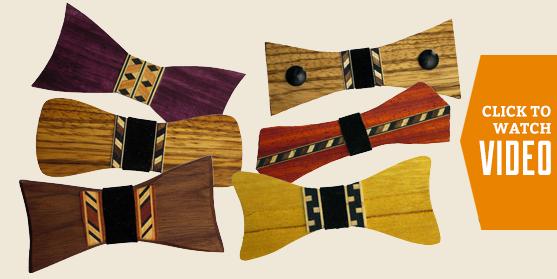 You’ll choose your wood species, cut out your bow tie design using the bandsaw or scroll saw, dress up your bow tie with strips of inlay, then sand and finish your piece. To finish your project you will attach an elastic band so the dad in your life can sport the finished product! It's our pleasure to show our appreciation for your business. 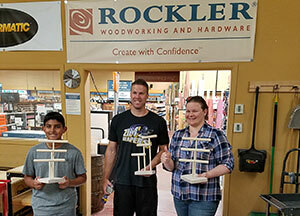 Free Make and Take Event on Saturday June 8, 2019. 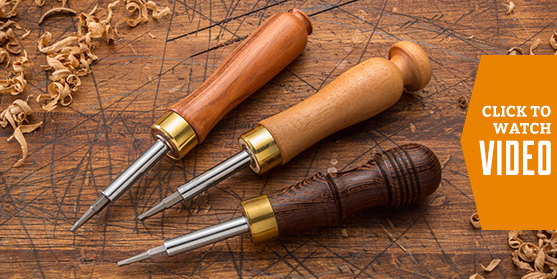 In this class, You’ll learn woodturning basics as you craft a handle for a 4-in-1 screwdriver hardware kit. $35 fee includes screwdriver kit and all materials required. 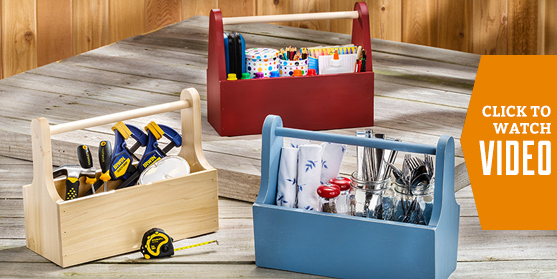 This class will take you through the step-by-step process of assembling and finishing a small wooden storage tote. $15 fee includes all materials required. 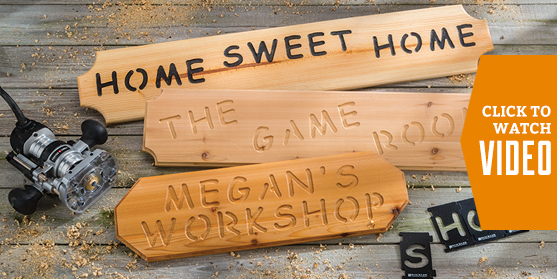 Use our Interlock Signmaker’s Templates and a plunge router to make a sign you’ll be proud to display or give as a gift. $35 fee includes wood blank for sign. 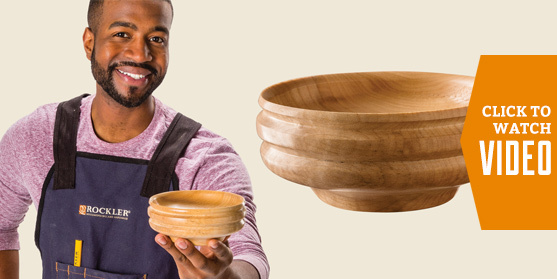 Join us to create your very own turned bowl! This class will take you through the step by step process of turning a small maple bowl with the use of carbide turning tools. You will learn how to mount the blank on the lathe, how to hold the tools, cutting techniques and finishing. $35 fee includes all material required. 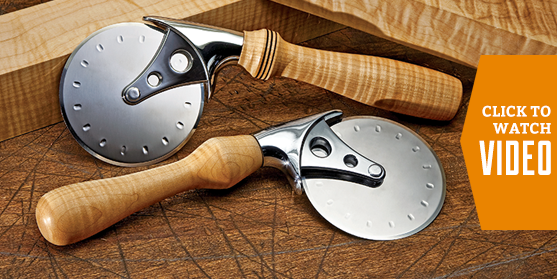 Learn woodturning basics as you craft a handle for a bottle opener, ice cream scoop or pizza cutter. $25 fee includes wood handle blank; you purchase the hardware kit of your choice (acrylic handles are an additional cost and hardware kit supply is subject to availability). Join us to create your very own turned pen! This course will teach you the basic fundamentals of turning your own manhattan pen using carbide turning tools. 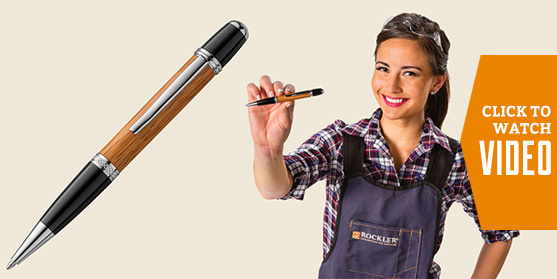 Finishing and assembly of the pen kit will also be covered and you will leave with a beautiful handmade custom pen. 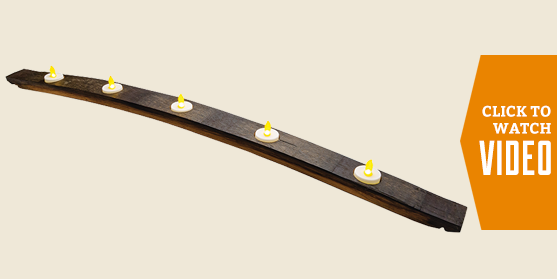 In this class, you’ll create your very own whiskey barrel stave candle centerpiece. 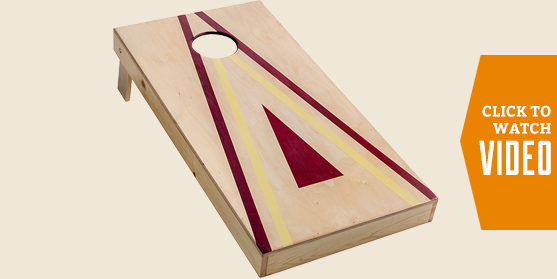 You’ll learn how to make this project by using a drill press and learning how to sand and finish. All materials and hardware included. Candles not included. 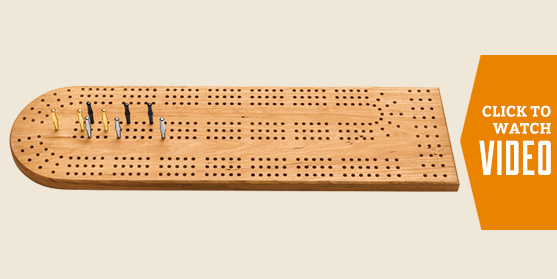 In this class, you’ll create your very own wooden cribbage board. You’ll learn how to drill, cut your board using a bandsaw, add a decorative edge using a router, then learn how to shape, sand and finish. All materials and hardware included. Pegs sold separately. 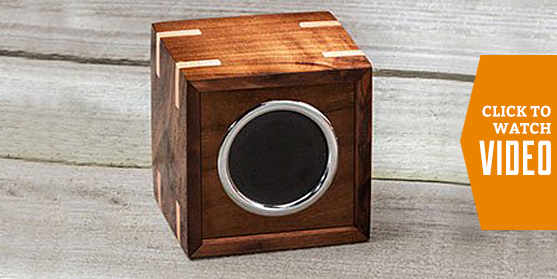 A treat for the ears and the eyes: Build a small decorative box and learn how to install our Wireless Speaker Kit. $60 fee includes Wireless Speaker Kit and wood for the box. 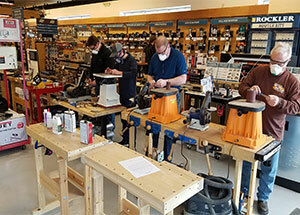 In this class, you will learn basic woodworking skills such as pocket hole construction, air nailing or screwing, routing techniques, jig saw cutting and finish sanding with orbital sanders. Each student will build one Game Board but will go home with the knowledge needed to build their second one. In this class, we will take you through the process of doing pocket hole construction using the Kreg Pocket Hole Jigs. We will also cover basic routing techniques, assembly and finish sanding operations. Learn new skills and leave with a finished project you can proudly say you made yourself! 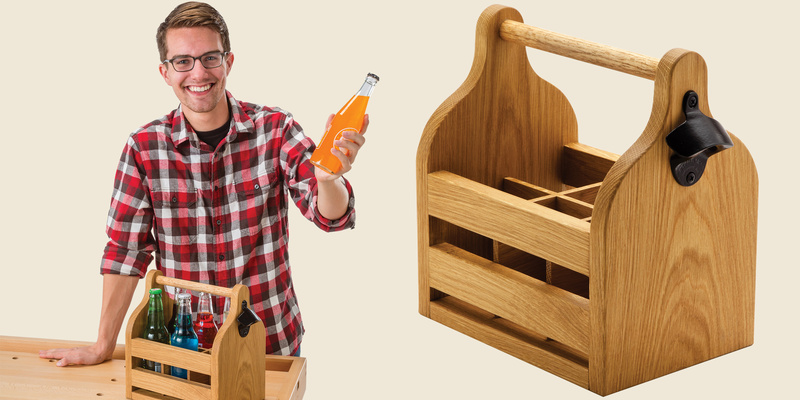 In this beverage caddy project you'll learn basic joinery techniques, including doweling, scroll sawing and clamping, plus assembly techniques.